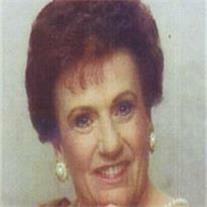 Patricia Catherine Neumann Glover, 85, of Lubbock, Texas passed away peacefully on March 3, 2012. Patricia was born in Evansville, Indiana June 28, 1926. She was preceded in death by her husband of 58 years, Harry. She is survived by her sons Terry (Ella) Glover and Mark (Ann) Glover, sister, Edna Appel, 11 grandchildren, 21 great-grandchildren. She moved to Mesa, Arizona in 1955. She loved the area and the people, raising two sons and working nearly 50 years in the banking business. She was held in high esteem by all her customers. Patricia had a great singing ability and blessed many lives sharing her talents. She was an active member of The Church of Jesus Christ of Latter-day Saints. She had a great love for her Savior and testimony of his teachings. She lived following his example, loving and serving those around her. She enjoyed attending sporting events, recitals, plays, concerts, graduation and church activities to support her children and grandchildren. She was so proud of her posterity and their many accomplishments. She moved to Lubbock in 2002 and lived her remaining years. Her wonderful sense of humor, quick wit, business accomplishments, musical talents, words of encouragement, and testimony of Jesus Christ will be missed by her family. She leaves a legacy of love that will always be remembered. Graveside services will be 10 AM, Thursday, March 15, 2012 at the City of Mesa Cemetery. Funeral services were held in Lubbock, Texas.